Sobre Nosotros - Freiduría el Choco, Fuengirola, Costa del Sol. Our restaurant is located in “Los Boliches”, a town near Fuengirola, in the province of Málaga. It’s an old neighborhood of fishermen who formed a population separated from Fuengirola however, due to the urbanistic increase of the zone, nowadays it is not integrated in the city. Without official limits, traditionally it is considered a part of “Los Boliches” every place between “Arroyos Real” and “Pajares”, the beach and the old road “N-340”. 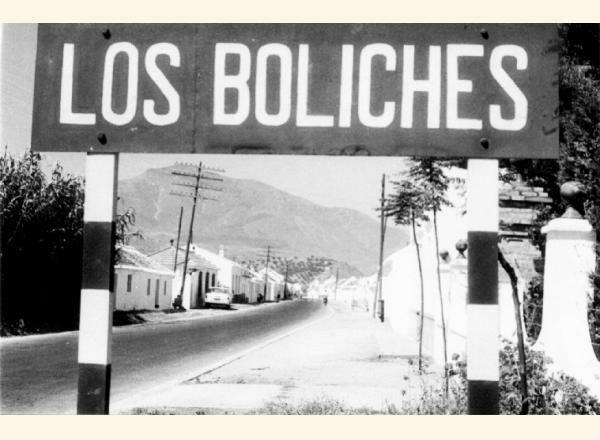 The first historical references known are from 1822, when in a census 25 inhabitants are recognised from “Los Boliches”. By 1930 the households were mostly huts with palm roofs and were grouped along the old road.